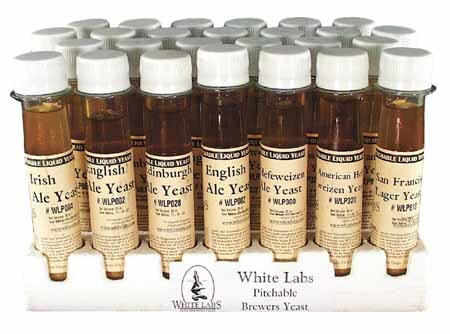 Why you use liquid yeasts, wile here are very good dry yeasts available today, which cover a range of beer styles, unlike years ago. My favourite is Safale US 05, great every day yeast for all “clean” ales such as American Pale Ales. So I have been asked many times “Why would you use liquid yeasts?”, usually after they have found out that liquid yeasts cost more than dry yeasts. Also there are concerns they are more complicated to use. Well there are good reasons to use liquid yeasts, they are simple to use and there are ways to make them more cost effective. So what are the reasons? There are some styles of beer that can only be made with a specific type of yeast. The wonderful German pale ale Kolsch can only be made with a liquid Kolsch yeast (e.g. WLP029), no dry Kolsch yeast exists. While the range of dried yeasts has increased it is still limited compared to the wide range of liquid yeasts available. The yeast is often the forgotten character component of beer. 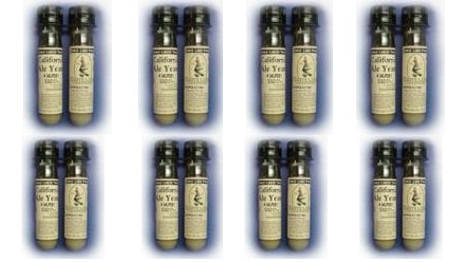 For example, if you make up a recipe for a British Special Bitter and brewed it four times with four different British yeasts you would have four very different British bitters. WLP002 will give you an ale with malty sweetness; WLP013 gives provides a complex, oakey ester character and hop bitterness; WLP022 gives a drier finish with a fruity, bready character; WLP023 provides delicious subtle fruity flavours like apple, clover honey and pear. Also in my personal opinion liquid yeasts give an extra depth or dimension to the beer character. Again this is only my opinion. Are liquid yeasts complicated to use? No they are simple to use. Just aerate the wort, add the yeast and stir in. That is it. I have had good results with this method for ales with OG’s up to 1.055 and lagers up to 1.050. For gravities above these use more yeast or use a starter (instructions are on the ESB site or from http://www.whitelabs.com/faq.html). So what about the extra cost? If your sanitation is good, which it needs to be if you want to drink the beer that you are brewing, you can reuse liquid yeast multiple times. You will have enough yeast in the container for two other batches. I will use two thirds of the yeast for a Scottish strong ale and one third of it for a Scottish 80/- or similar ale. Three batches with one vial of yeast! The cost is less than three packets of dried yeast, “but wait there is more”. You can reuse the yeast form the Scottish 80/- for two or more batches. Usually you can use the yeast for three to five generations if your sanitation is up to standard. So stop worrying and give liquid yeasts a go. They can improve your beer and save you money. Can’t get a better deal than that. NOTE: It is best not to reuse yeast from high gravity beers and/or very highly hopped beers because the high alcohol and hop oils can be very damaging to the yeast cells. P.S. One of the ESB Club members was complaining that his last few batches had odd tastes. We asked him different questions and someone finally asked if he had used the same yeast. Turns out he had used the same liquid yeast. He had repitched it twenty one times!!! We told the tight wad (or something similar to that) to buy a new yeast. Sometimes you can push a good thing way too far.